Grain table VCO and modulator driven by dual glitch engines. 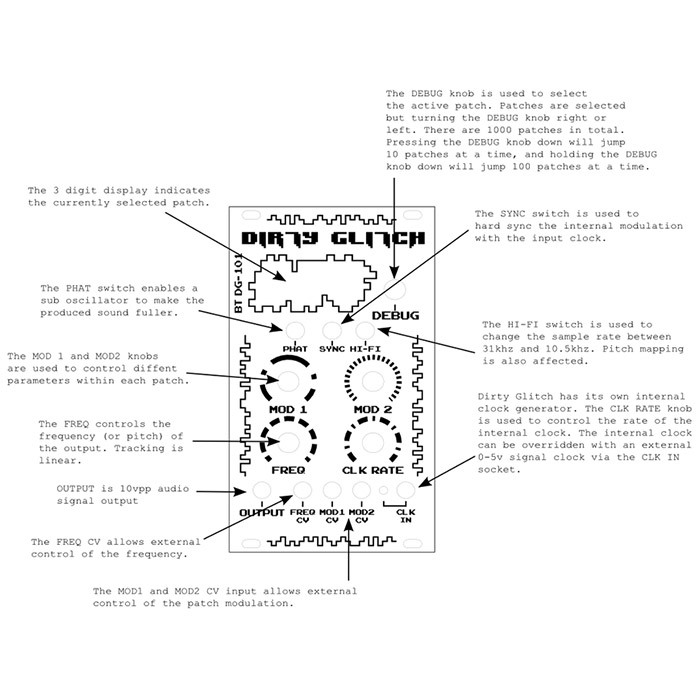 The Dirty Glitch VCO is a highly experimental digital oscillator, harnessing grain table synthesis driven through dual glitch engines to produce sounds. 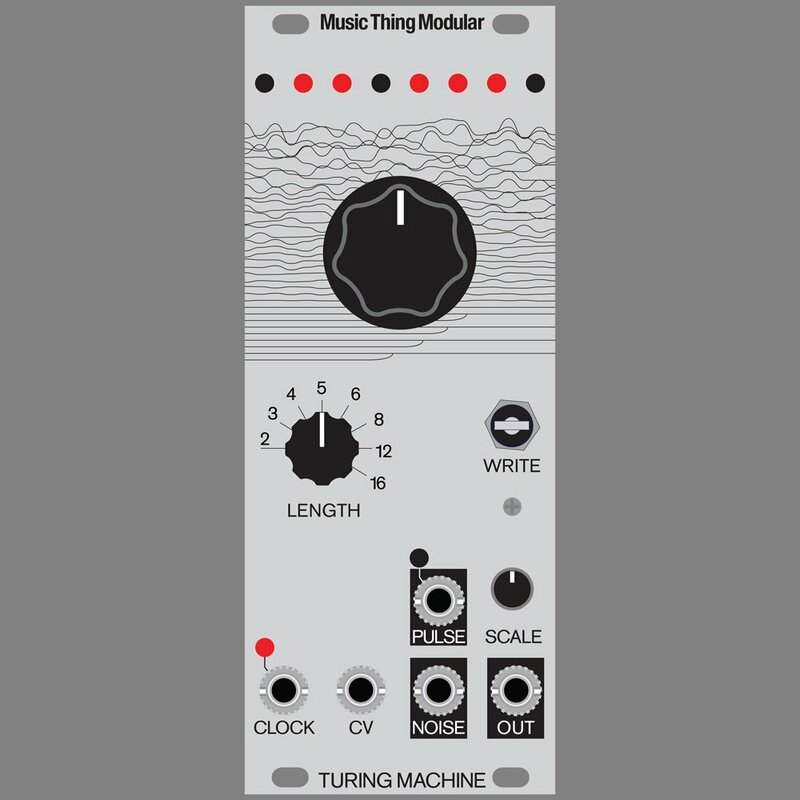 This module has 1000 grain table patches to choose from – with a useful patch list provided for reference. The first 90 patches attempt to be more musical, like a contemporary VCO…make sure the delay (CLK RATE knob on these patches) is in the centre position to access all of the available tones. 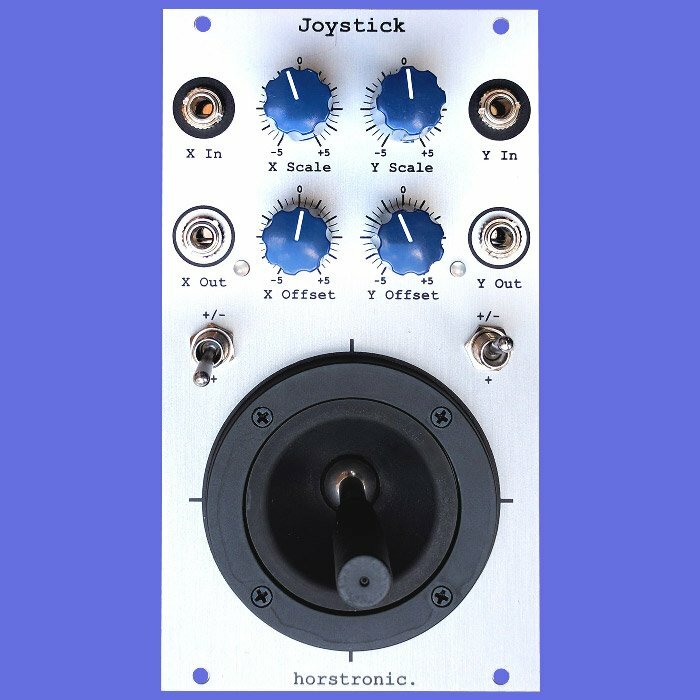 The following 910 patches are just outright bizarre, containing various clock, internal step-sequence and LFO / knob based modulations and weirdness as per the patch list. 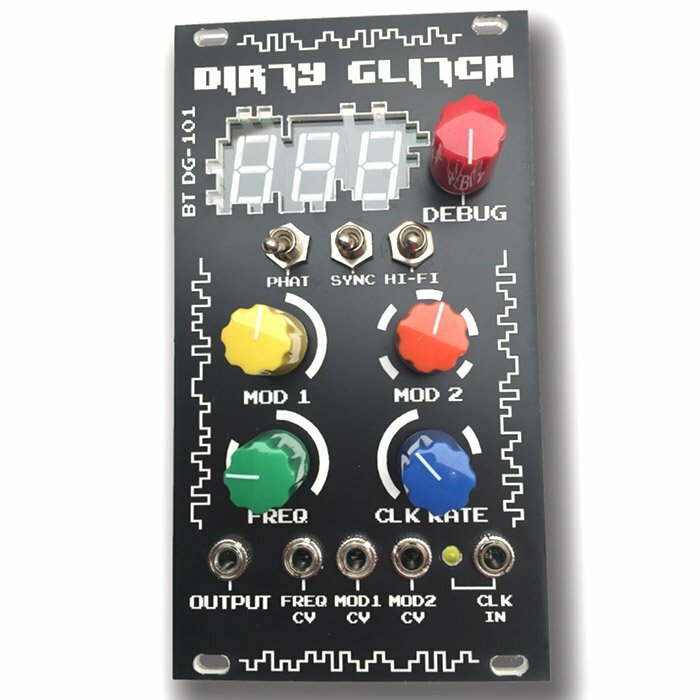 Aside from use as a VCO, Dirty Glitch can also be used as a highly interesting modulation source or produce some really unusual percussion sounds in conjunction with a VCA.